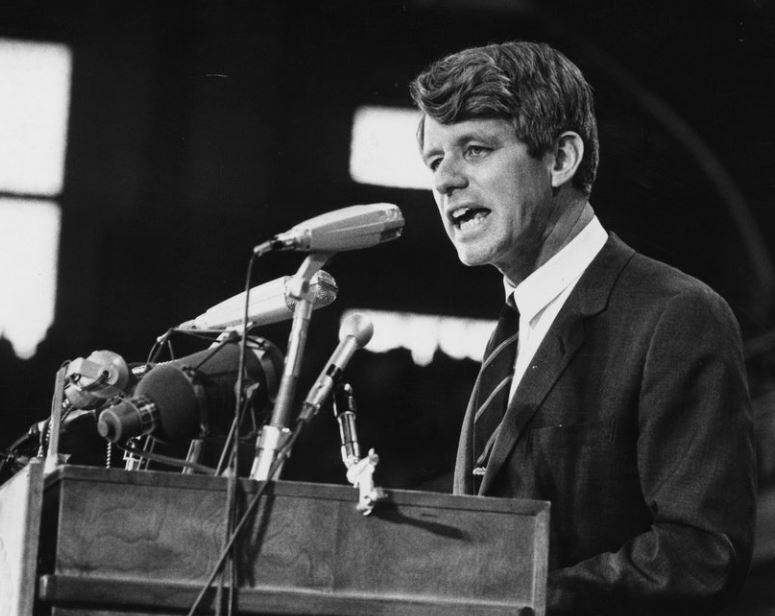 I was eight years old when Bobby Kennedy was killed. Not completely unlike today, between March 16, 1968 and June 5, 1968, the country survived a series of events. Bobby Kennedy challenged his brother’s successor, Lyndon B. Johnson, for the Democratic presidential nomination. To which, LBJ withdrew. April brought the brutal assassination of Martin Luther King Jr., followed by urban rioting. And June 1968, the national would have to grieve again, as Bobby Kennedy would be assassinated. Pushing democracy aside, our nation has not had to endure political assassinations. However, years of The Black Lives Matter movement, a Presidential race touting body parts, racial discord of white supremacy, sexual discrimination and the utter inability to work as members for a common good suggests our society has fallen behind the ideology of all men being equal. What Trump doesn’t understand is that Kennedy knew vulnerability alongside privilege and power. I fear this unwelcome gift the Trump children have applied well. For instance, Ivanka Trump seems unwilling to acknowledge that there could, hypothetically, be a difference between what’s good for women and what’s good for her brand. In The Trump Card, Ivanka broadcasted her similarity to the President. “That’s what you get from this particular Daddy’s girl,” she wrote. “As the first daughter goes around touting herself as a champion of women,” Sarah Newell, a representative for International Labor Rights Forum told Newsweek, “women are literally facing abusive conditions as they stitch her [brand name] into her products, and they aren’t being provided a structure where they can advocate for themselves.” NYT Opinion writer Lindy West phrased it well. You’d think that a passionate anti-wage-gap crusader like Ms. Trump would relish a broad, ever-expanding data set illuminating her pet issue so that she could go after it with laser focus, but no. The first daughter strode into Washington with two big promises: She was passionate about helping “working women” and she was going to close the gender wage gap. However, Ms. Trump endorsed the President’s decision to abandon an Obama-era initiative. The Trump brand will never intermingle with our brand. I’ve never heard President Trump ever express outrage at hunger in in the inner cities, mistreatment of blacks, or unfair work conditions faced by migrants, regardless of how legal or illegal they be. Yet he will discuss nuking North Korea while simultaneously and unapologetically stating he received a high draft number and never served. Damn those bone spurs. And lastly, I’ve never heard Trump having the same empathy for white workingmen and women for blacks, Latinos and foreigners. As a Buddhist, I find peace in Robert Kennedy’s sympathetic words from the night Dr. Martin Luther King was assassinated. Contrary to Trump, we are “that” which counts. And returning full-circle, I would much rather borrow principles from Socrates, swipe them from Chesterfield or steal them from Jesus versus living by Trump’s. Accordingly, every day, each of us must choose which principles to honor. Trump’s values are not my true north. Neither should they be yours. America must make an effort … an effort to understand, to get beyond or go beyond these rather difficult times.